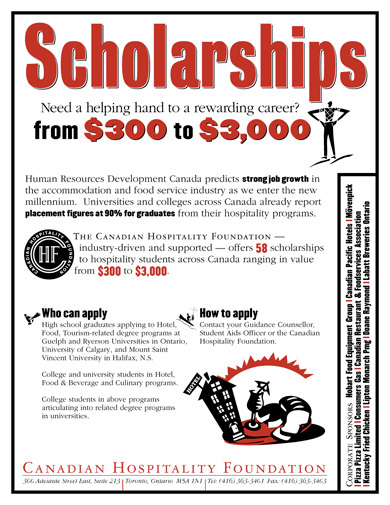 Industry-driven and supported scholarship program for the hospitality sector. To introduce the scholarship program to students across Canada. This charitable program had very little money to spend, but they still wanted maximum impact. Thirst created several sizes and designs of 2-colour posters using the same graphic language. This entry was posted on 2008.12.31 at 8.25 am and is filed under Service. You can follow any responses to this entry through the RSS 2.0 feed. You can leave a response, or trackback from your own site.